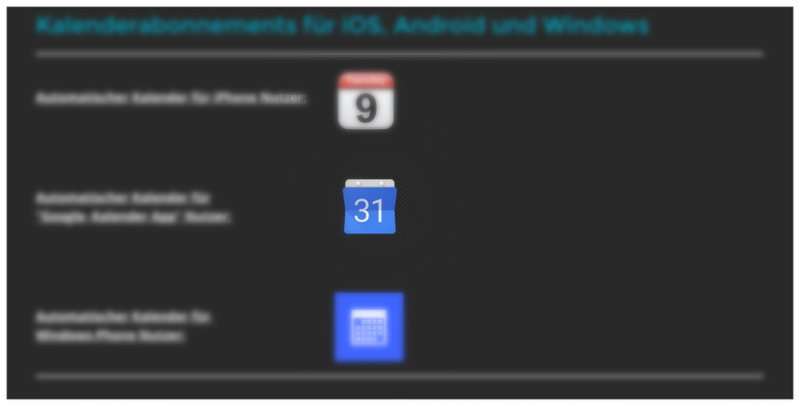 Du willst automatisch immer alle aktuellen Krächzer Termine in deinem Smartphone-Kalender haben? - Das geht! Wie das funktioniert steht in der Krächzer-Lounge unter "Termine". hello!,I love your writing so so much! proportion we keep in touch more about your article on AOL? I need an expert in this house to resolve my problem. Maybe that's you! Looking forward to look you. What's up, yes this paragraph is truly nice and I have learned lot of things from it regarding blogging. thanks. My programmer is trying to persuade me to move to .net from PHP. I have always disliked the idea because of the expenses. But he's tryiong none the less. I've been using WordPress on a variety of websites for about a year and am concerned about switching to another platform. I have heard excellent things about blogengine.net. Is there a way I can transfer all my wordpress posts into it? Any help would be really appreciated! My family members every time say that I am killing my time here at web, however I know I am getting experience every day by reading such good posts. Thank you for every other informative site. Where else may I am getting that kind of information written in such a perfect manner? I've a mission that I am simply now working on, and I've been at the glance out for such info. What's up to every body, it's my first pay a quick visit of this webpage; this web site carries amazing and actually good data designed for readers. I'm more than happy to discover this site. I want to to thank you for your time for this particularly fantastic read!! I definitely appreciated every bit of it and i also have you saved to fav to look at new information in your web site. Hey! I know this is kinda off topic but I was wondering which blog platform are you using for this website? I'm getting fed up of Wordpress because I've had problems with hackers and I'm looking at options for another platform. I would be fantastic if you could point me in the direction of a good platform. I have read a few excellent stuff here. Definitely price bookmarking for revisiting. I wonder how much attempt you put to create the sort of great informative web site. I always spent my half an hour to read this website's posts every day along with a cup of coffee. It is perfect time to make a few plans for the long run and it's time to be happy. I have learn this submit and if I may I wish to recommend you few fascinating issues or advice. Maybe you could write subsequent articles relating to this article. I desire to learn even more issues about it! hello!,I really like your writing so much! proportion we keep up a correspondence extra about your article on AOL? I need an expert in this house to solve my problem. May be that's you! Looking forward to peer you. I'm not certain where you are getting your information, however great topic. I needs to spend some time learning much more or figuring out more. Thank you for wonderful information I was searching for this info for my mission. What's up to every body, it's my first pay a quick visit of this blog; this webpage carries awesome and truly excellent material for visitors.